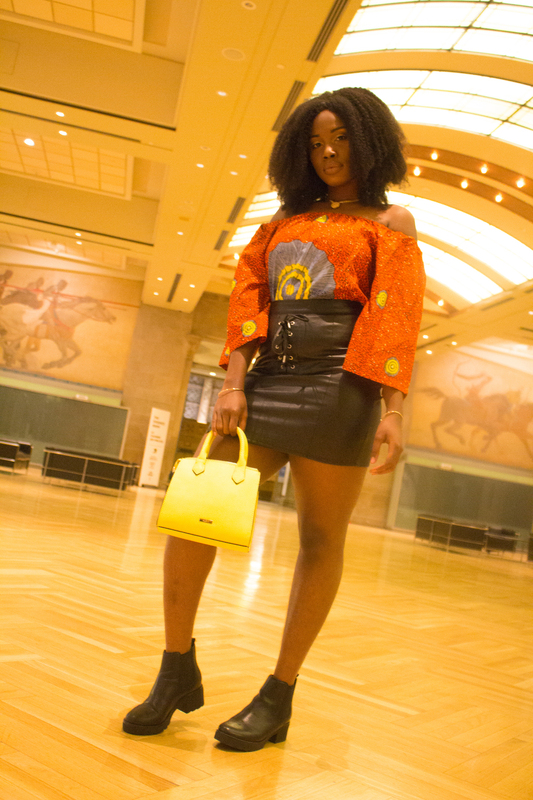 I got the opportunity of attending the African Fashion Week 2017 which was held at the Royal Ontario Museum in Toronto and so since this was an ‘African Event’, your girl obviously decided to incorporate that into her outfit. Just so you know, the photos may appear blurry so please bear with this guys. 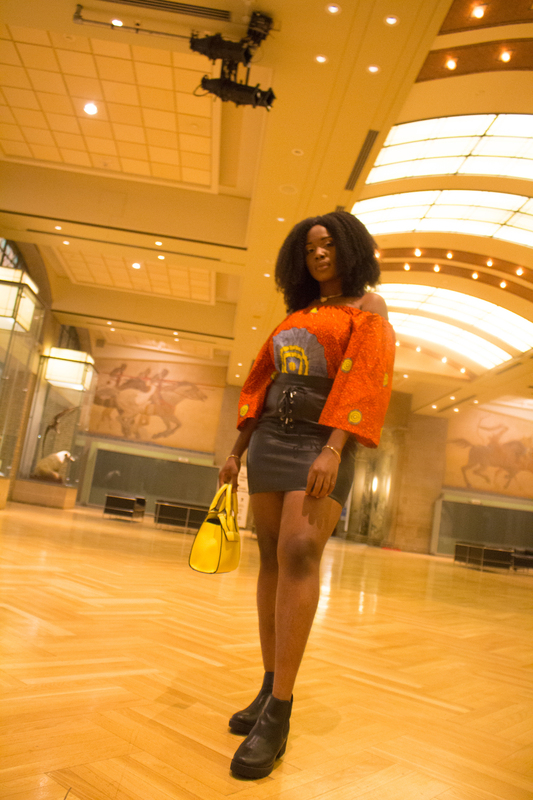 Scroll down to view all shots of this look. For my outfit, I have on an off-shoulder Ankara top (lol. the top is for my little sister, by the way). 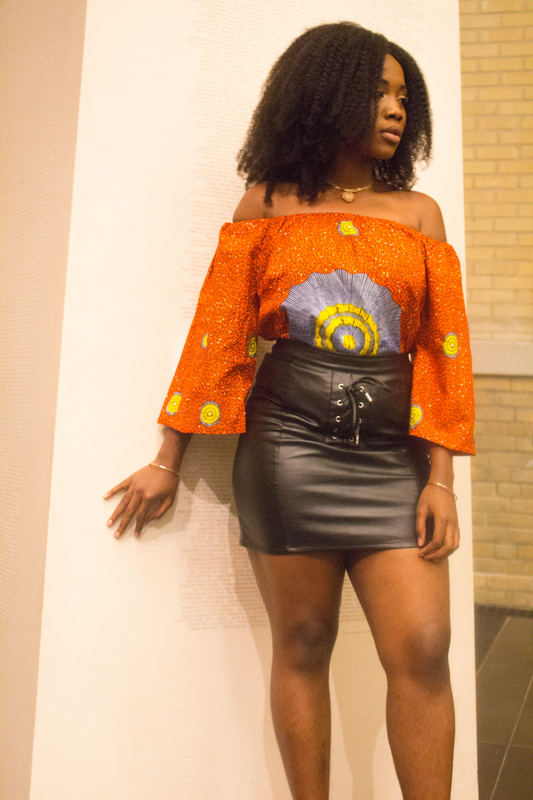 With that top, I decided to pair it up with a leather mini skirt and then a pair of black boots for that edgy vibe. Well, if you know me really well. you would know I hate wearing heels, so I just decided to stick to something with a bit of platform and less heel. 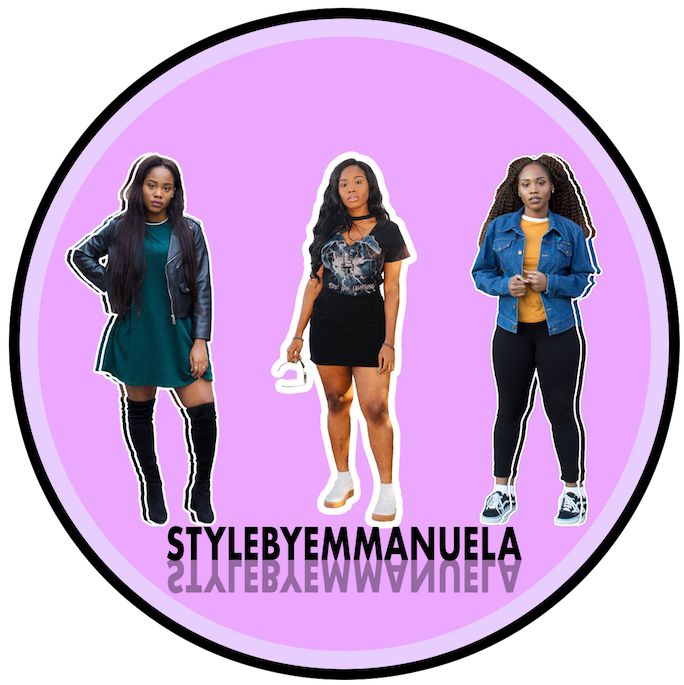 "STYLE SWAP : StylebyEmmanuela Meets Running|Through|M|Avenue"
"OUTFIT IDEAS: 3 SUMMER OUTFITS (2017)"